Furnace brazing allows design and manufacturing engineers to join simple or complex designs of one joint or multi-joint assemblies. One of the most common forms of high temperature brazing is accomplished in a vacuum furnace and referred to as vacuum brazing. 1. The vacuum brazing furnaces structure is horizontal, single chamber and loading horizontally. 2. The furnace hearth is designed through modularized optimization with good temperature uniformity performance. 3. The vacuum system inlet is configured with gas condensate steering device and filter collection device, preventing welding vapor polluting the vacuum pump. 4. Unique gauge anti-pollution technology guarantees the long service life of the vacuum gauge. 5. Unique rear insulation technology assures larger radiation area and better insulation performance. 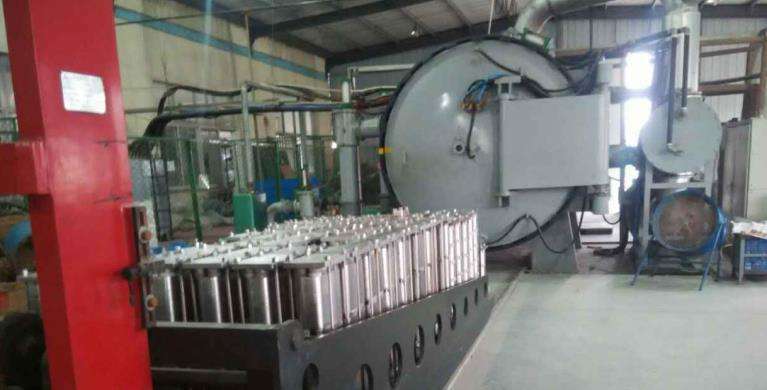 low temperature brazing furnace main areas of application include radiator, heat exchanger, oil cooler, diamond tool, SCR Selective Catalyst Reduction, EGR Exhaust Gas Recycle, impeller and vacuum cup and quartz tube.